Channel classic glamour in your interior with the Byton wall lamp. Stylishly sculptured, the Byton wall lamp adds a touch of luxury lighting to any interior. International boutique hotels inspire the unusual styling. The modern, minimalist base highlights ‘s’ shaped curves which cross together to form a mesmerising base. This feeling of luxury extends to the beautiful rectangular shade contrasted against the polished base. Style as a pair either side of the bed as the perfect bedroom lighting ambience. 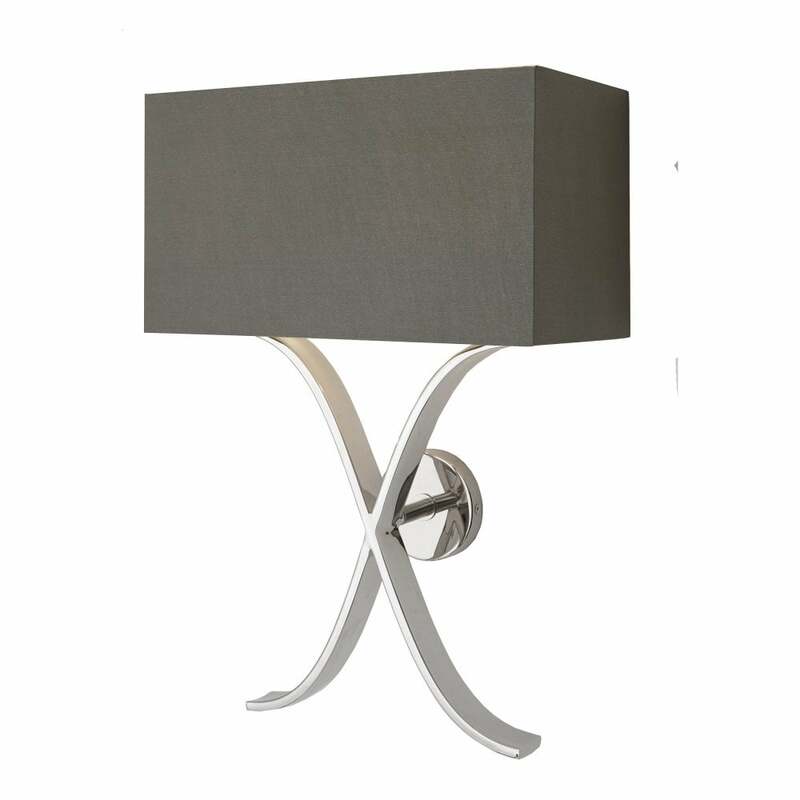 Combine with the Byton table lamp for a sophisticated lighting look.